Barry Young, CEO of the OLED Association and an authority on the technology, presents a broad look at display applications utilizing OLEDs. In 2015, OLED displays had revenues of US$13.5b and it is forecasted that by 2020, the revenue will grow to US$33b, a CAGR of 20%, even as the rest of the display industry stagnates. OLED technology is used to create displays with rich, vibrant colors in a range of consumer electronic devices including smartphones, TVs, VR systems, notebooks and tablets. Currently, OLEDs are finding their way into transparent digital signage. They will soon be installed in conformable automobile consoles, foldable mobile devices, rollable TVs, and more. This presentation discusses the history and use of OLEDs, the attributes of OLED displays, and potential future applications. It covers technologies used to create OLED displays, including the stacked model that forms the basis for OLEDs; the differences in backplane and frontplane technologies to achieve higher resolution, flexibility and transparency; thin film encapsulation; and the materials required to create OLED displays. It also examines the production and distribution of the products that use OLED display technology, from fab to retailer, and the effects of the cyclical nature of the display industry on market growth. Barry will also present the challenges facing the development and application of OLED technology, including materials, processes and costs. He will conclude the presentation with a brief update on OLED lighting. 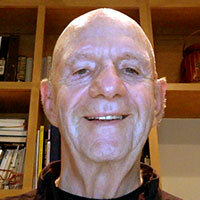 Barry Young is CEO of Young Market Research (YMR) and the OLED Association. A leading authority on OLEDs, Young is founder of DisplaySearch and the author of DisplaySearch's OLED, flexible-display, small/medium-display and technology reports. Previously, Young was CEO and president of OWL Displays, where he co-developed innovative driver technology for amorphous silicon (a-Si) and polysilicon (p-Si) TFT LCDs, and was awarded key patents for driving low-temperature polysilicon TFT LCDs. Audience questions and the presenter's responses are provided below. 1. What is the current design rule for critical dimensions for AMOLED as a percentage of pixel pitch? I have been assuming the minimum CD=0.01* pitch (TFT level). The pixel pitch for the Galaxy 7 Edge at 1440x2560 is 48 um. Typically, display manufacturing operates with one um to four um design rules. 2. What R2R technology is currently available to manufacture high-definition, large flexible AMOLED displays on UT glass web? On poly web? I know of no commercial installation of AMOLED displays built on R2R installation. The only R2R installation that I know of is Konica Minolta and after several years of trying they are making OLED lighting panels with no active matrix. They are currently consumed with solving their yield issues. Trying to do an active matrix would be orders of magnitude more difficult. 3. Is not photolithography rather than stenciling (or something similar) required to manufacture such displays? Not sure I understand the question, but photolithography is issued for the active matrix. The OLEDs are patterned using VTE and FMM. 4. How close are we to reaching the "Holy Grail" of a large, high-definition, roll-up display? LG has already demonstrated privately a 55 inch rollable display and has shown an 18 inch rollable display. They are claiming a two-year development cycle. 5. Does LCD employ frit for encapsulation? LCDs employ frit for sealing. The term encapsulation is not used with LCDs. 6. OLED displays typically demand black GUIs, because the power draw is too high. How does OLED power/current draw compare to LCDs today? White images use the most power for OLEDs. Good OLED designs minimize the use of white wherever possible. 7. Are any companies producing or planning to produce OLED panels specifically for high-end reference displays other than Sony? LG has indicated they would produce 55 inch displays for cinematic editing. OLED lighting is still in its infancy and HIS reported sales of approximately US$20M in 2015. There have been several research reports claiming OLEDs would grow anywhere from US$1B to US$5B. I don't believe any of them. The challenges for OLED lighting include: raising the efficacy to 100+ lum/W; the lifetime to T70 to 50K hours and the cost to around $5 per 4 inch square. Until these goals are reached OLED lighting will be limited to one-off applications. 9. I can see the advantage of OLEDs for short life consumer-based electronics like cell phones, tablets, etc. But what about displays expected to be in use for up to 20 years, such as for the military? Has the color aging issue been resolved or mitigated? I think the current lifetime limits are 10-15 years, depending on the usage mode, but clearly TVs fall into this category. 10. What is the window for 80-inch OLED displays, and their ability to array into one large cinema sized screen? Will ultra-LED keep pace with OLED over this evolution? How difficult would it be to tool up to manufacture a single jumbo cinema 4K/5K OLED display/monitor/screen? We have a very large market for these massive 4K/5K displays/monitors. Moreover, smart 4K TVs, digital signage and professional monitoring! The current largest fab for OLEDs is Gen 8.5, which has a limit of 77-inch in diagonal. The Chinese are building 11th Gen LCD fabs and these could be used to produce 100-inch displays. 11. Can you comment on backplane technology for OLEDs? IGZO vs LTPS? LTPS is currently used for small/medium displays because they typically have high pixel density, in the range of 500 to 600 ppi, and require high mobility (cm2/voltage sec. so that the TFTs can fit in the small pixel pitch). However, LTPS is slow and has very high capex requirements. IGZO, which has mobilities of 20 to 40 cm2/voltage sec., is currently used for TVs, because the reliability is OK and the mobility will support pixel densities <200 ppi. IGZO requires 0ne-half the capex of LTPS and has much faster TACT. Sharp is experimenting with new forms of IGZO, which they hope will be usable in small/medium OLED displays. 12. What are the primary encapsulation materials used? Glass-to-glass frit is used. For flexible displays, thin films composed of layers of organic and inorganic material are used. 13. LCDs can do transflective. Can OLED do transflective? Transflective LCDs have two modes, transmissive in which the backlight is used and reflective in which the backlight is turned off and the ambient light is bounced off a mirror and sent through the color filter. Since OLEDs operate in an electroluminescent manner, they only have one mode: emissive, in which the OLED is on. The designers do everything possible to distribute the ambient light that is reflected by the cathode away from the field of view. Of course, the issue with transflective is that the performance is a compromise in both modes, making it not as good as transmissive when using the backlight, or a reflective device when not using the backlight. 14. How about microLED tech? Is it a competitive tech to OLED in the next several years? MicroLEDs are devices that use small LEDs to serve as sub-pixels and have the potential to compete with OLEDs because they should have better color (using QDs) and lifetime; similar contrast, viewing angle and response time; and lower power consumption. Currently, they are being designed for microdisplays where they will be cost-effective. Sony and Panasonic have exhibited large TVs (approximately 55-inch) with HD resolution. There are many challenges to be solved, not the least is the method of applying the LEDs to the active matrix substrate and the cost of a four-inch LED wafer which is currently more than a five-inch OLED display. However, there are several startups plus Apple, Sony and Panasonic working on the technology.